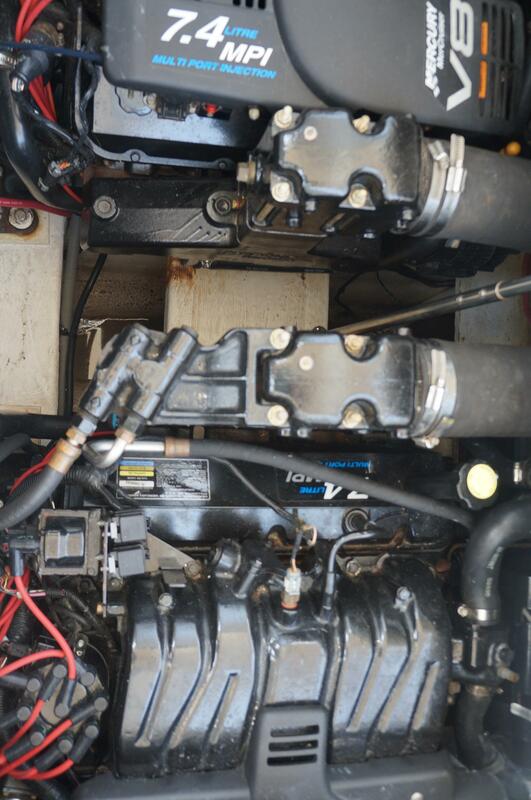 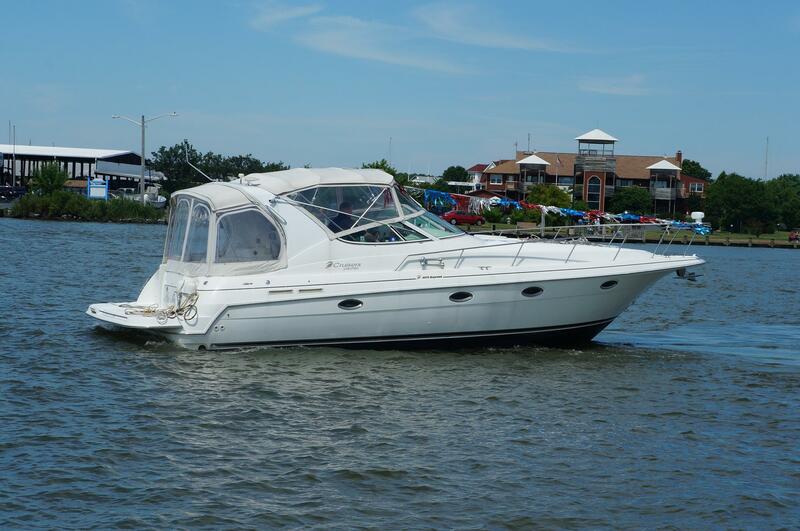 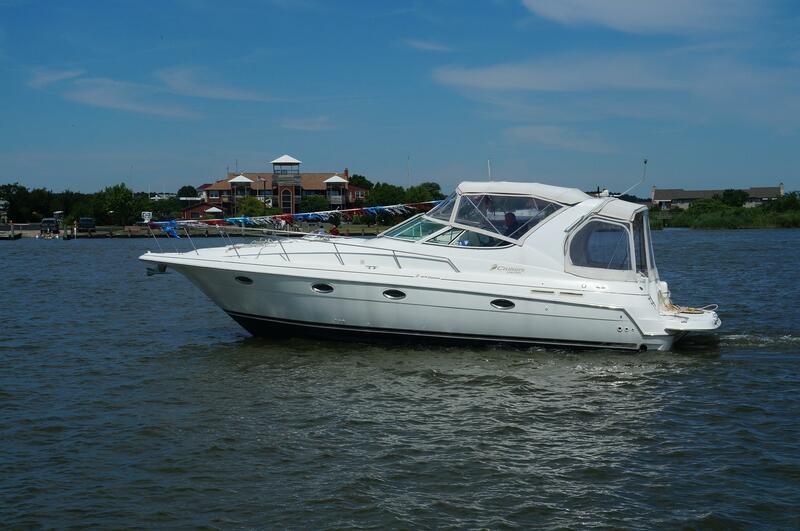 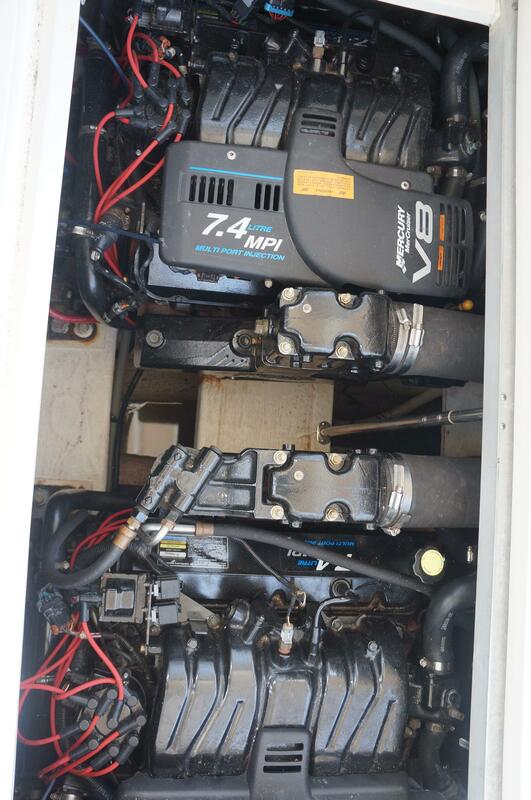 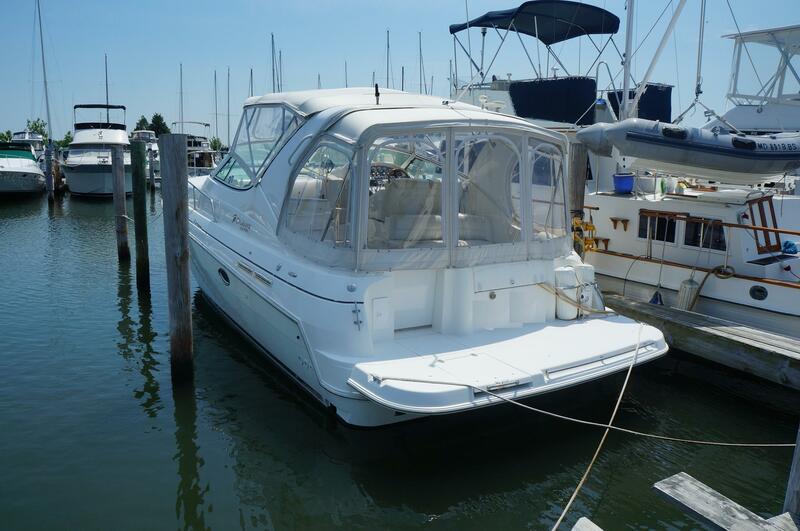 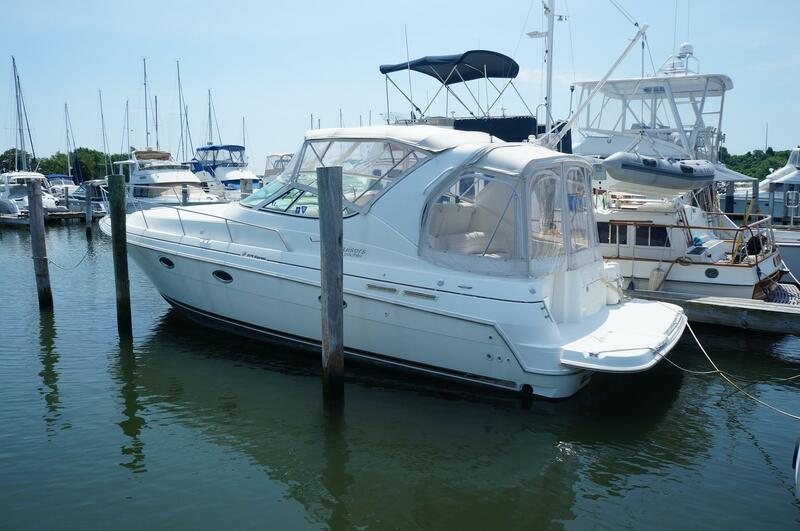 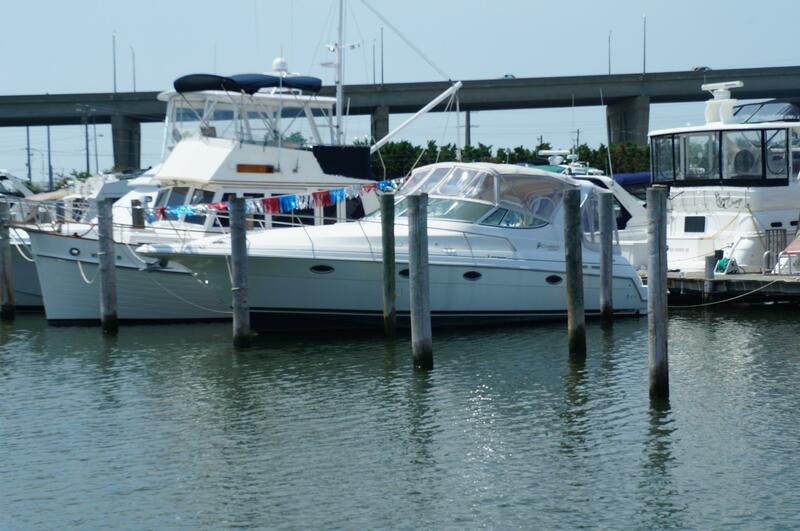 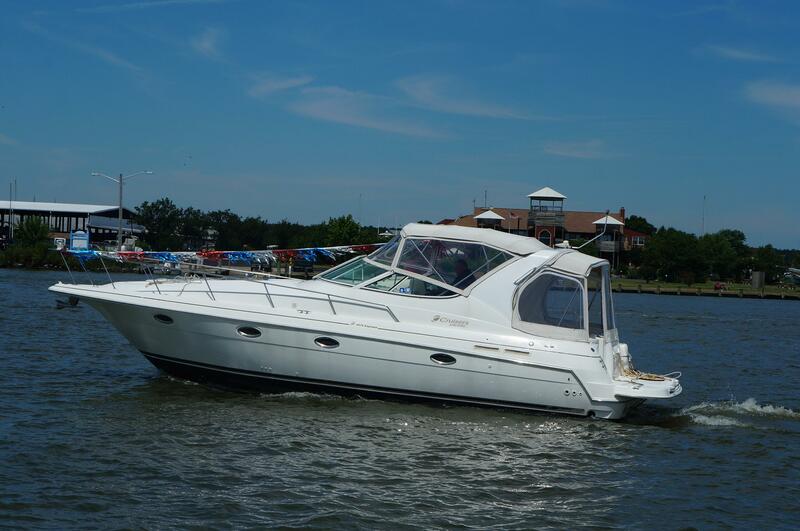 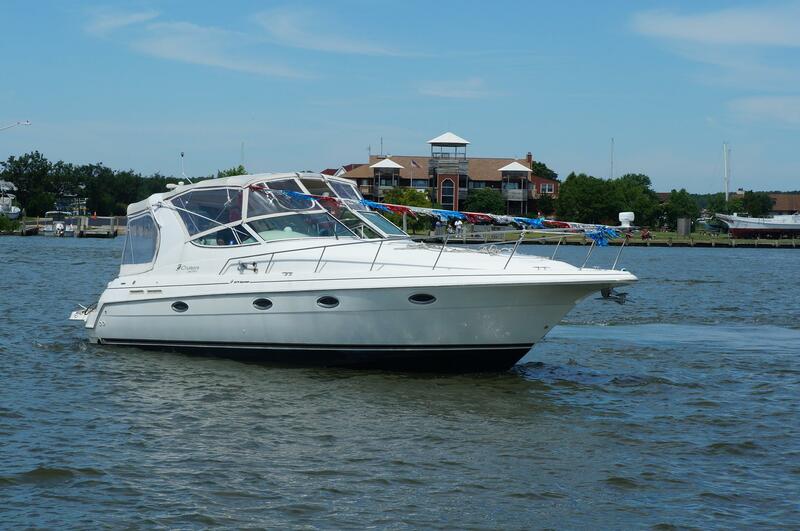 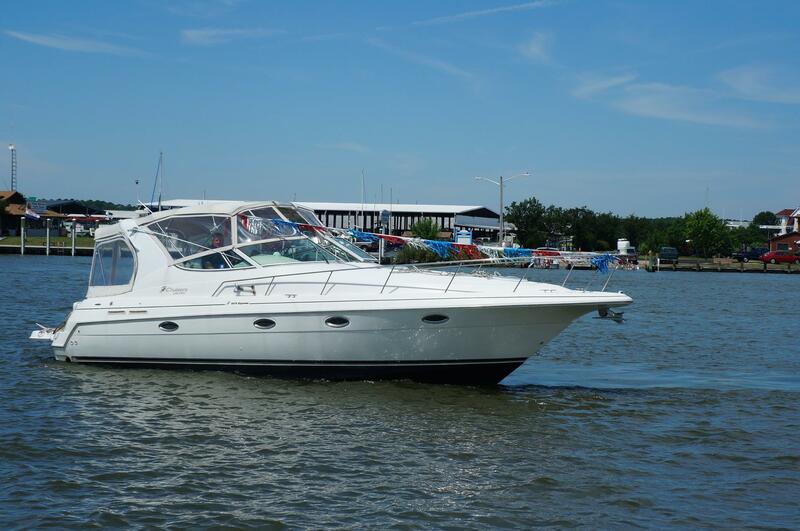 SHE IS A BEAUTIFUL "CRUISERS" 3375 EXPRESS, POWERED BY TWIN 7.4L MERCRUISER FRESH WATER COOLED INBOARDS WITH ONLY 800 HOURS. 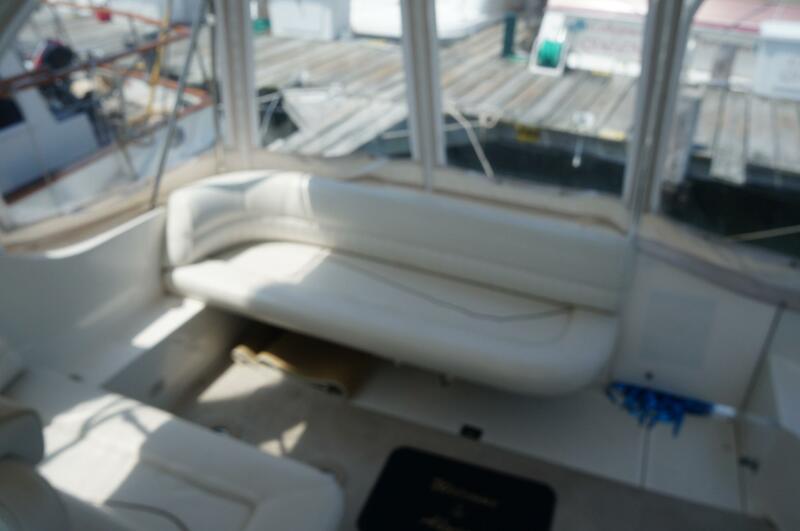 SHE IS NICELY EQUIPPED WITH AIR CONDITIONING, REVERSE CYCLE HEAT, ELECTRONICS, COMPLETELY EQUIPPED GALLEY, SEARCH LIGHT, WINDLASS, SWIM PLATFORM, FULL ENCLOSURE, AM FM CD PLAYER, DVD PLAYER, TELEVISION, GREAT EXTERIOR SEATING LAYOUT & A SEPARATE SHOWER WITH SEAT & CURTAIN, SHE IS ALSO WIRED FOR A GENERATOR!!! 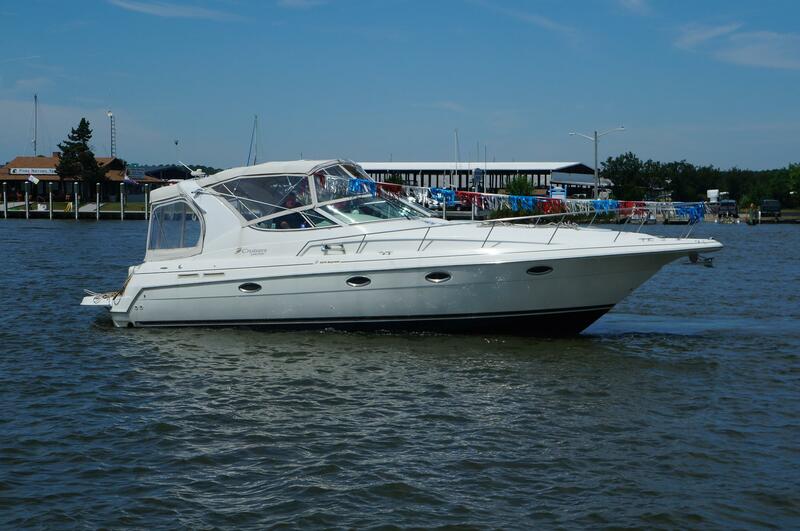 Built on a modified-V hull with a wide 11-foot, 8-inch beam allows for a spacious interior with a wide-open salon and berths for six. 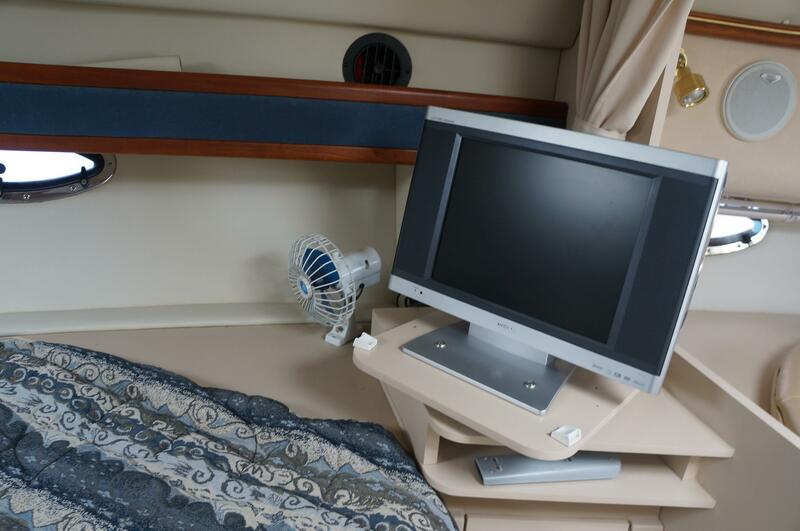 Privacy curtains separate the fore and aft sleeping areas from the main cabin. 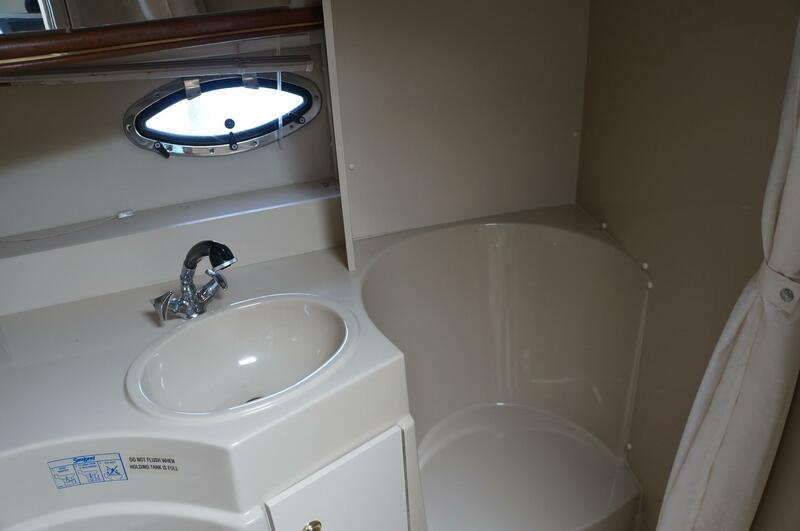 The spacious head features a separate stall shower. 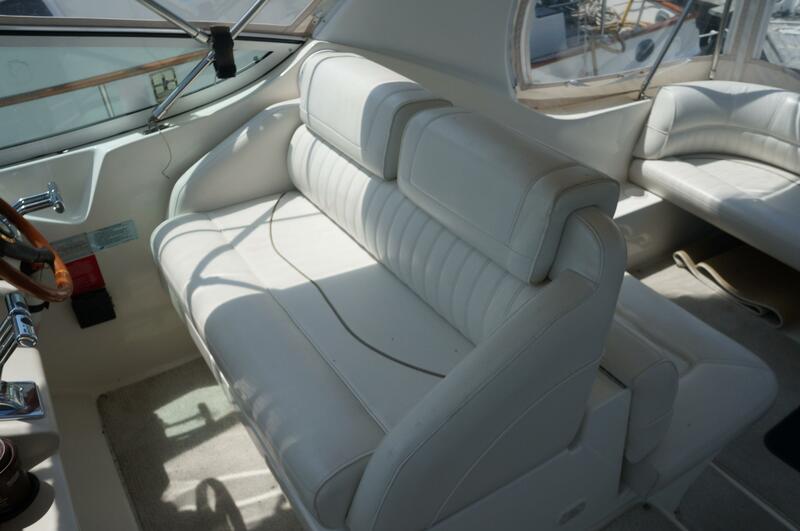 Topside, her bi-level cockpit seats six and includes a double helm seat, wet bar, and wraparound aft seating which converts into a large sun pad. 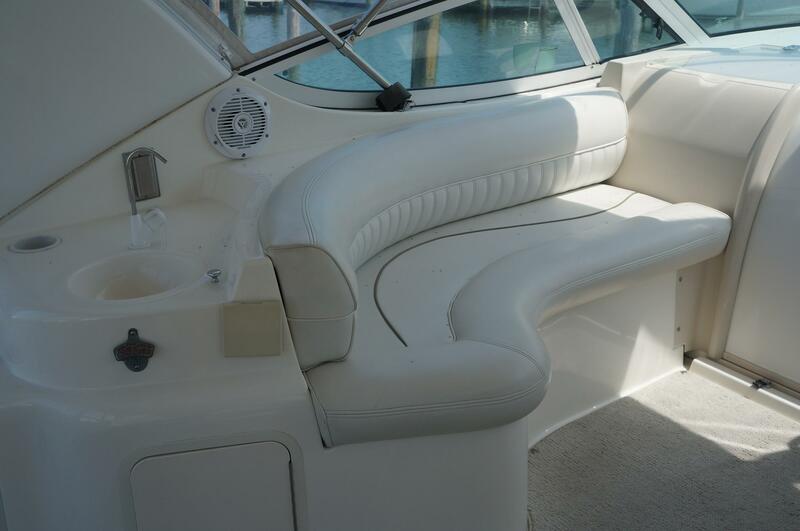 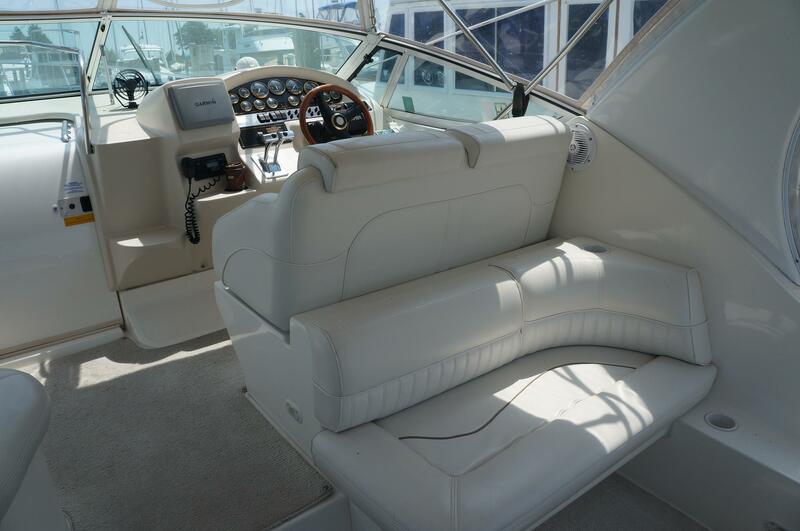 Additional features include an extended swim platform, radar arch, cockpit shower, trim tabs and a transom door. 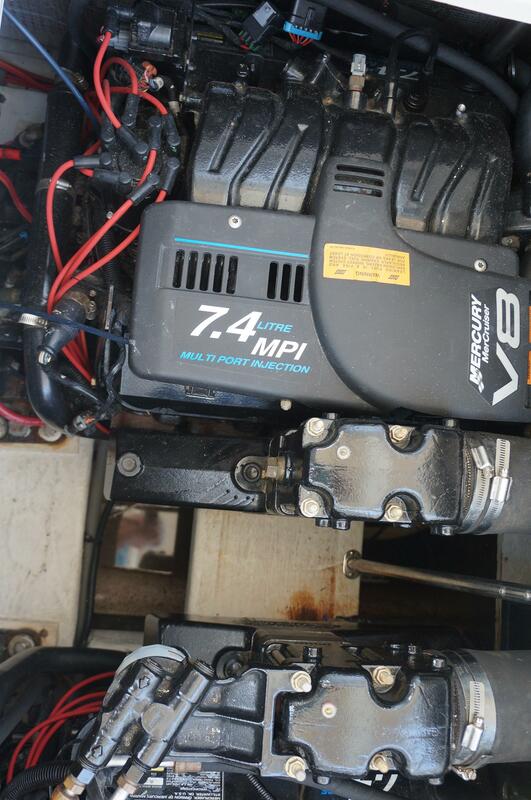 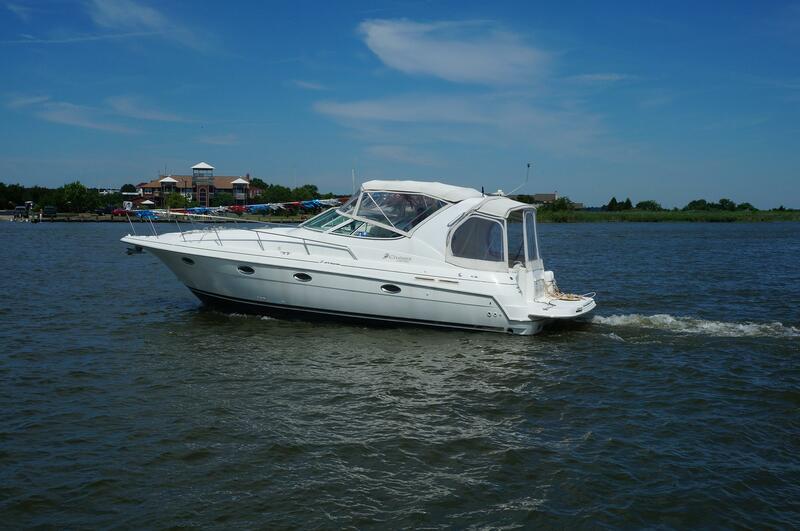 The Cruisers 3375 Express features smooth, precise handling in both sterndrive and inboard power configurations. 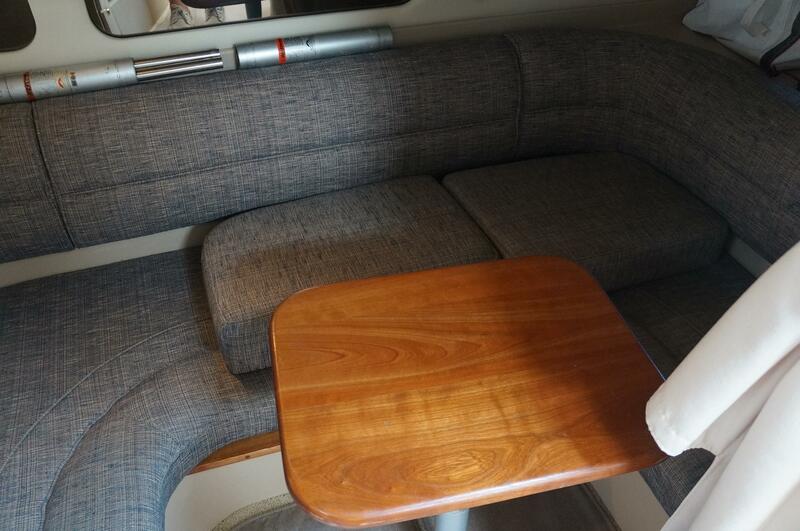 Her spacious layout can sleep up to six people comfortably with all the amenities. 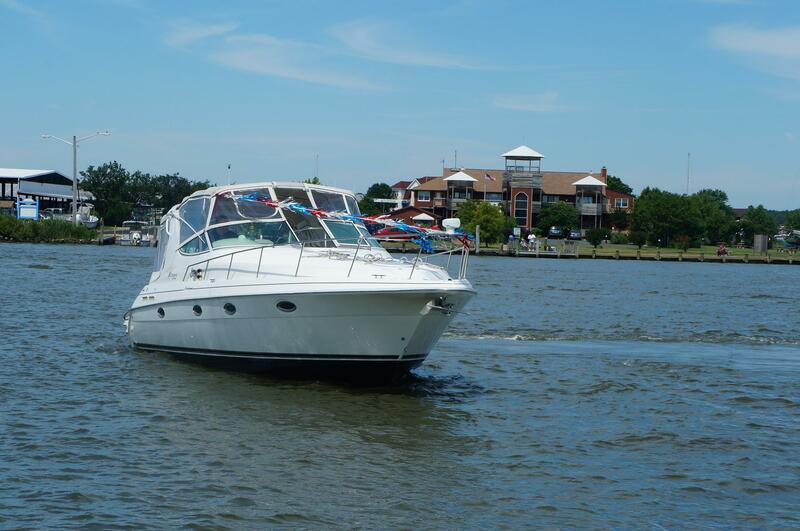 Whether the journey is an escape to a quiet, sunny cove or a cruising adventure filled with exciting ports-of-call, the 3375 Express brings new meaning to getting away from it all. 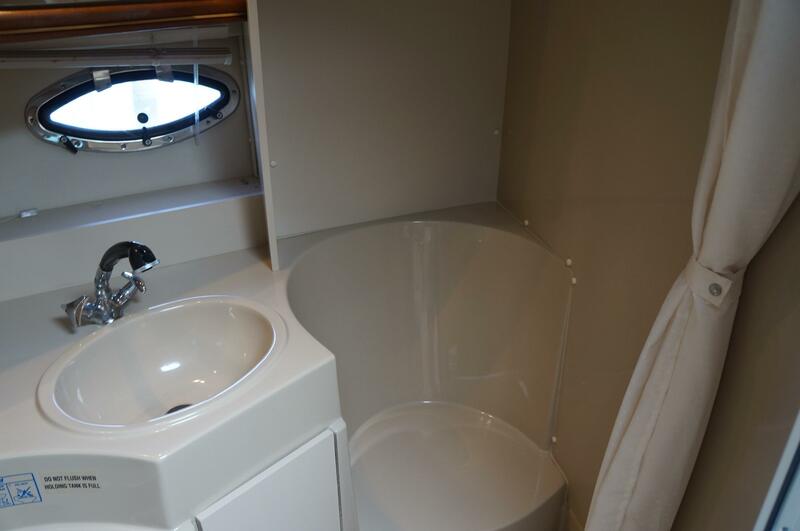 Plenty of natural light bathes the 3375's interior, which includes a convertible dinette - double berth and a spacious forward berth with a privacy curtain and ample storage. 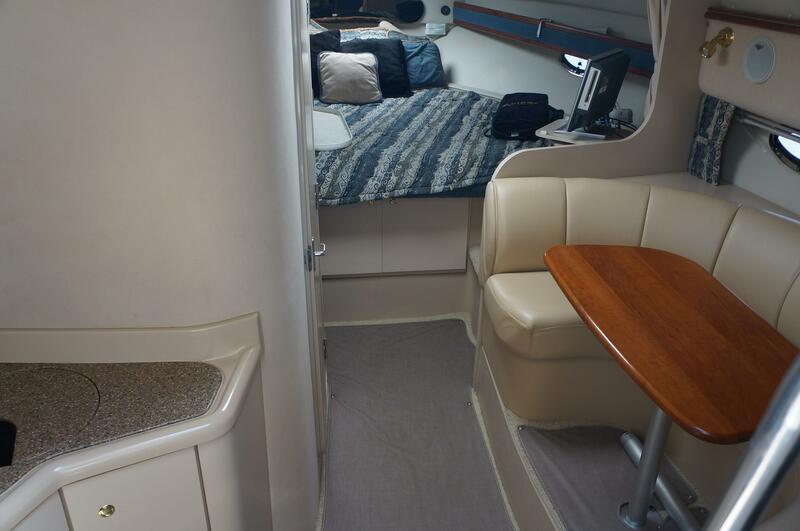 Also available are the crescent-shaped, convertible dinette and a bulkhead with a door to enclose the forward stateroom. 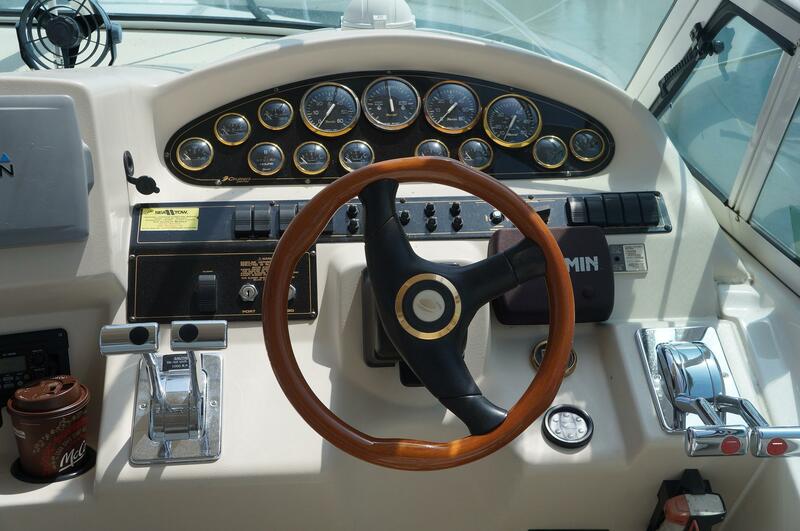 The well-designed helm features conveniently located controls and instruments, and room for additional electronics. 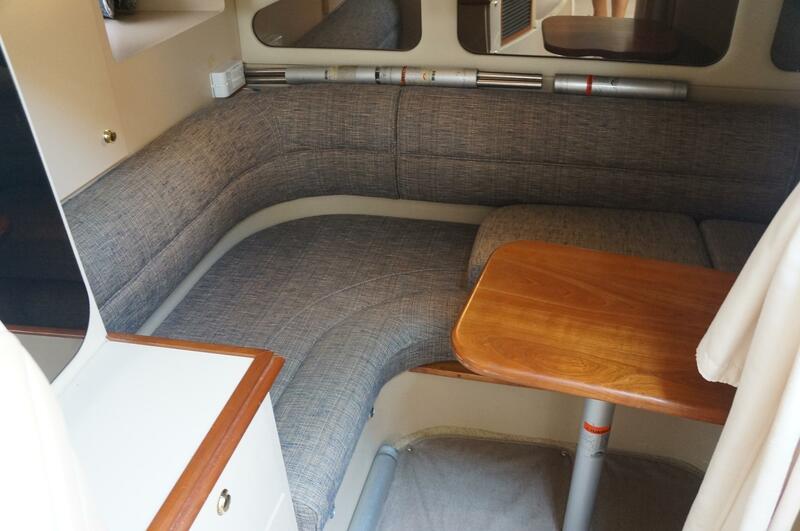 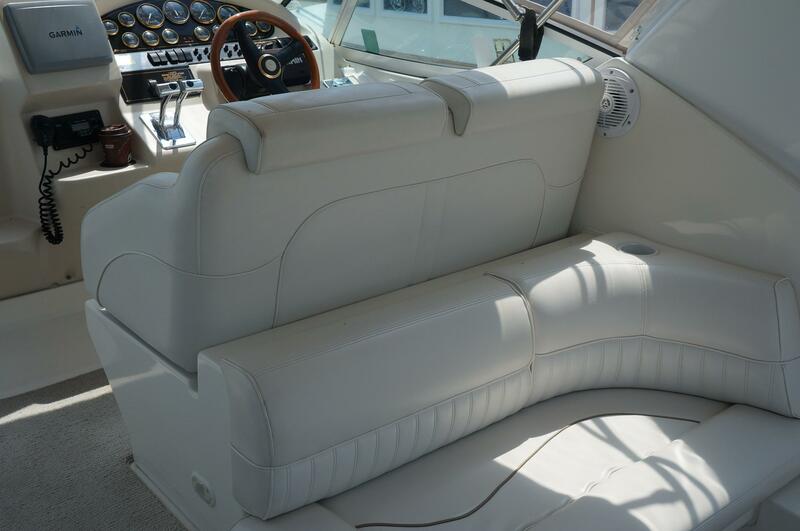 The 3375 has a comfortable settee amidships to starboard of the companionway which easily converts to a double berth. 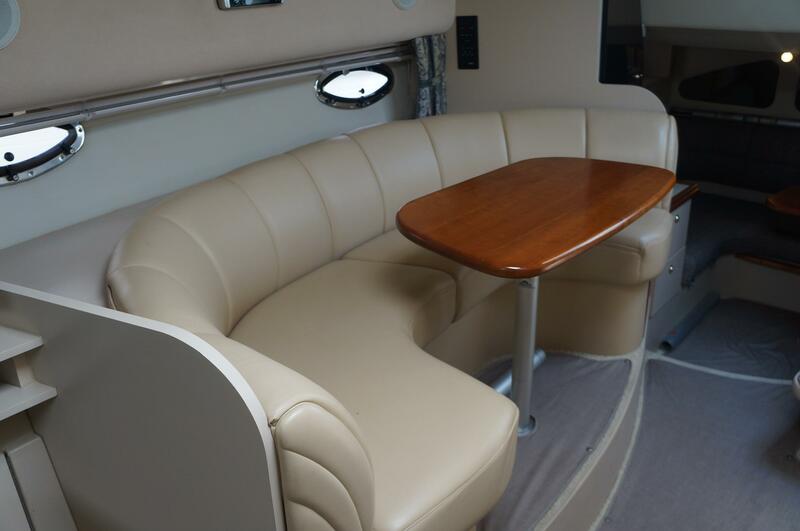 This living space includes a curtain to ensure additional onboard privacy for guests. 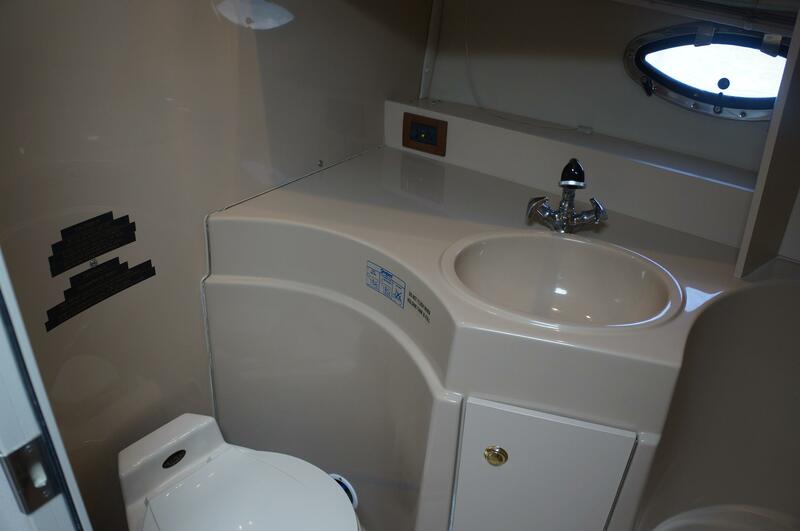 Unusual for a boat in this class, the 3375's spacious head features standing headroom and a separate shower. 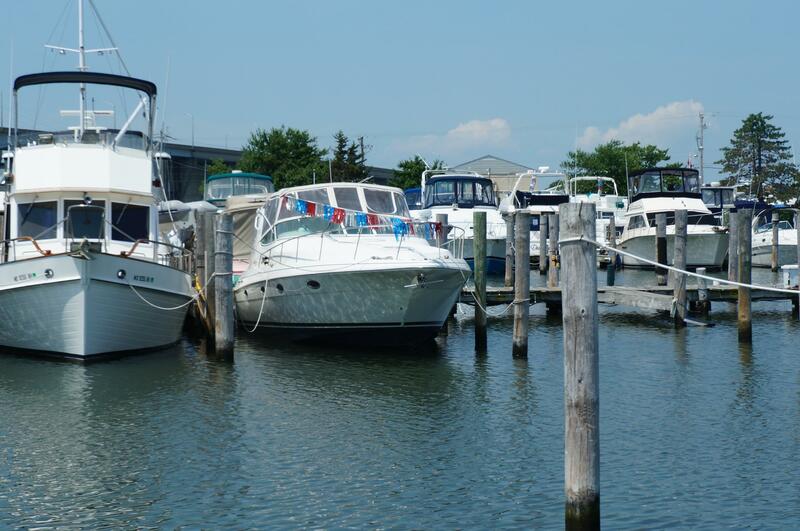 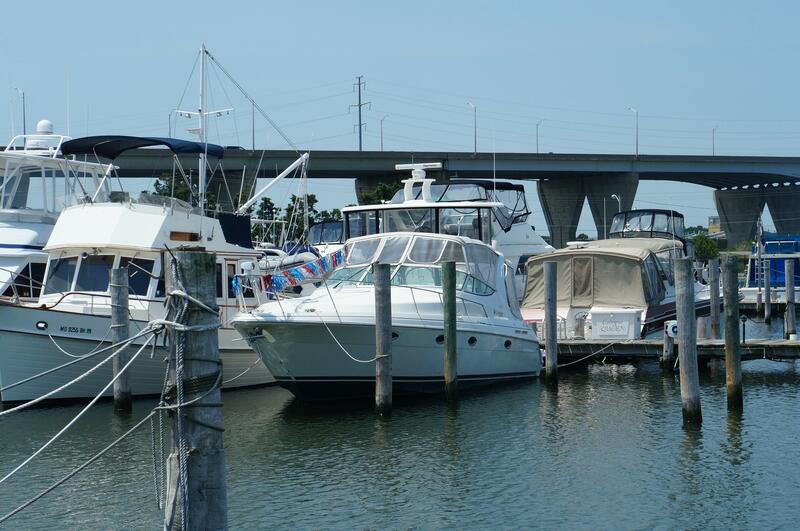 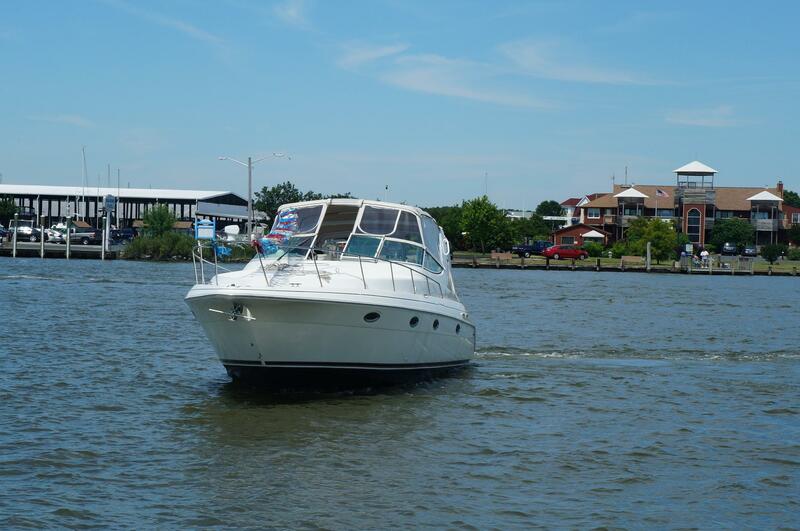 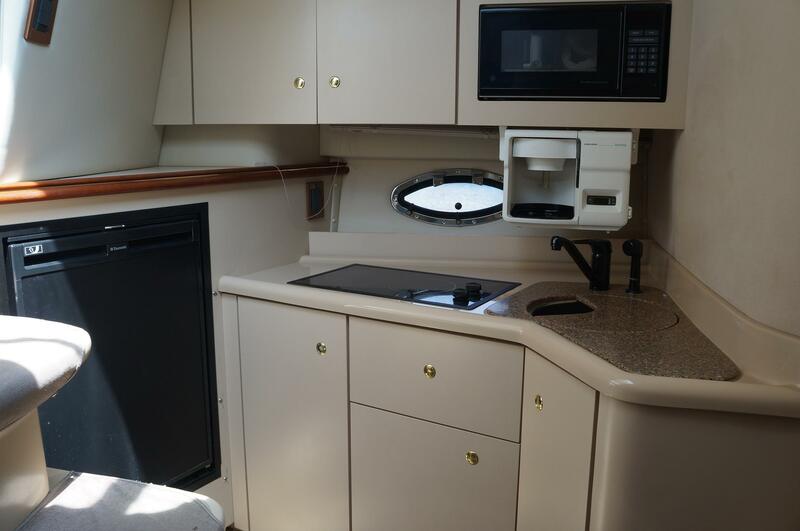 The 3375 's full-service galley, including a large refrigerator and freezer, a microwave, and a double-burner electric stove, is located just to port of the companionway.